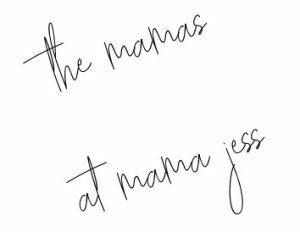 If you have been following along on our Instagram this week (follow us at @MamaJessFounder) then you have noticed we have been having a #GrainFreeWeek! We have been staying away from all things gluten, rice, and even whole grains. Some of us on the team did it just to see if we could, some are resetting their bodies a bit, and some are living a ketogenic lifestyle! We figured it would be a great time to encourage our community of Organic and Healthy Mamas that going grain free can be easy and delicious with a few simple ingredient swaps and an open mind. 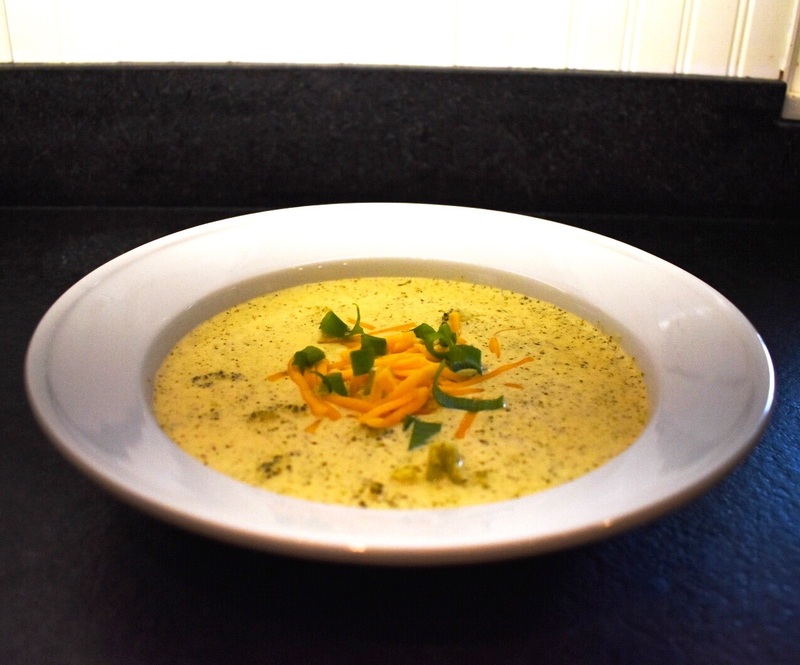 Today, we are sharing a recipe for some absolutely delicious Broccoli Cheddar Soup that is completely gluten free! We love the fact that this recipe still allows for a thick creamy base that flour and cream would usually provide, but simply without the flour! 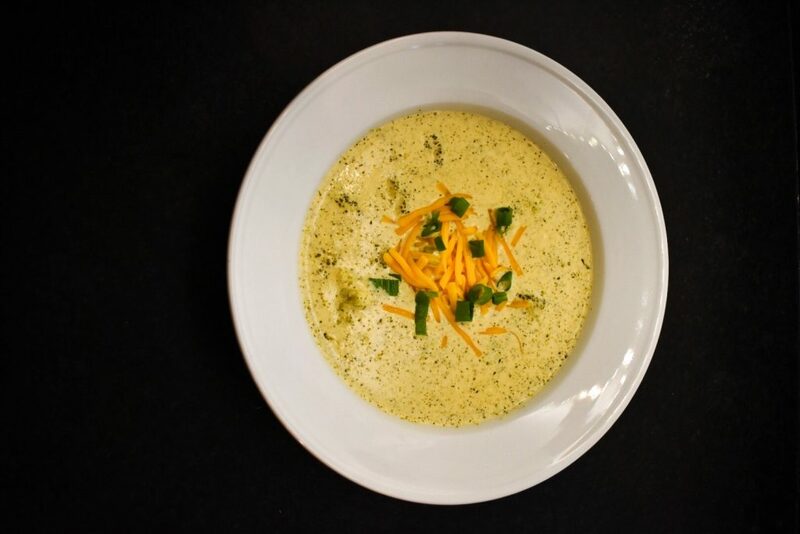 We actually were inspired by this recipe from our friends at Fit to Serve Group and you can find the original recipe here. We changed a few things to make some extra portions so keep reading and we will give you our version of it! Thank goodness that the fall weather is finally kicking in and we can whip out the crockpot! Honestly it just makes this recipe super easy for us busy mamas. Simply throw in the ingredients, stir every now and then, and serve hot! We are big fans of hands-off dinners here. First, gather your ingredients and prep the broccoli. I chopped up about ¾ of the broccoli very fine so that it could add to the thickness of the soup. 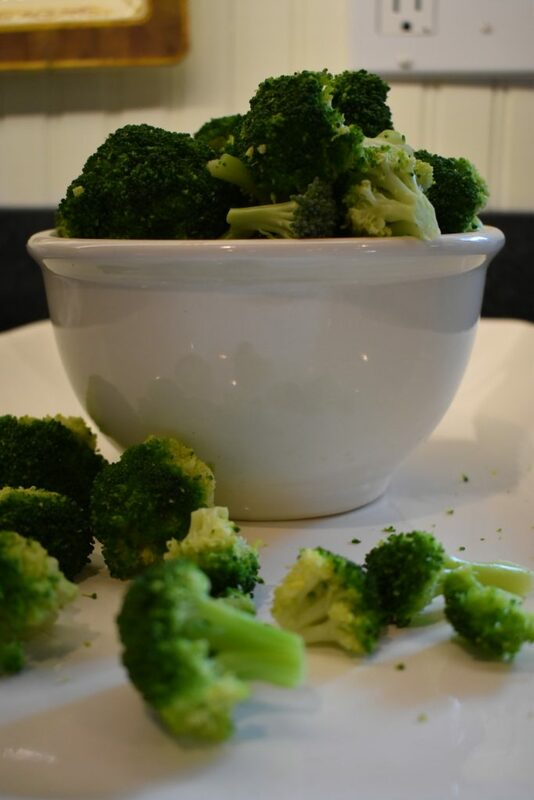 The other ¼ I left chunky because it’s a bit of a treat to find a juicy broccoli head in a spoonful every now and then! Next, add the ingredients into an already warm crock pot. First, allow the butter to melt a bit, then add the cream cheese, allowing it to slightly melt as well. In goes the heavy cream and chicken broth, letting those sit for about 2-3 minutes, stirring every now and then. 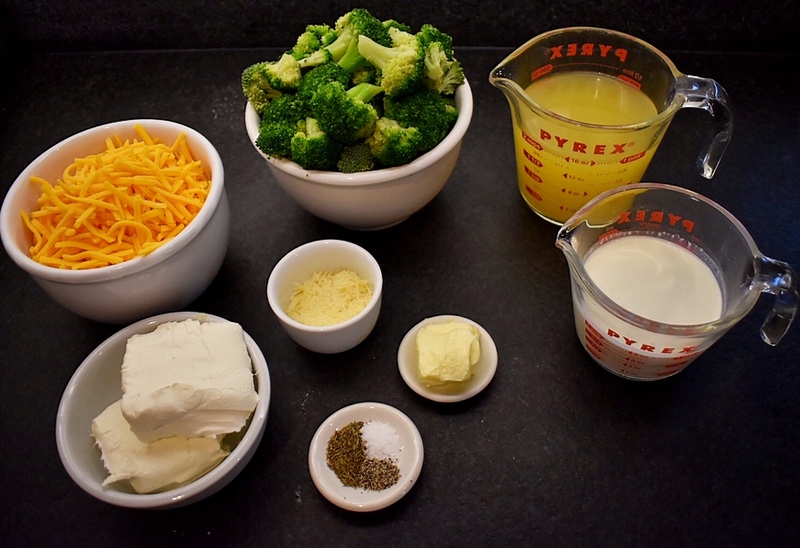 Finally add the parmesan and cheddar cheese, spices, and broccoli! Set the crock pot on low and cook for about 3 hours, stirring every now and then to make sure the cheese melts. If you’re in more of a rush, set the crock pot on high and cook for about 90 minutes (still stirring every so often). When serving, we sprinkled some extra cheddar cheese and chopped up scallion greens on the top! If you’re feeling really crazy, throw some croutons and/or bacon bits in there, you’ve gotta love a hearty crunch! Chop 3/4 of the broccoli finely. Chop remaining 1/4 of broccoli into small florets. Warm up crock pot on low. Add butter and cream cheese to crock pot, allowing them to melt slightly. Add whipping cream and chicken broth to the crock pot, mixing to combine the ingredients more. 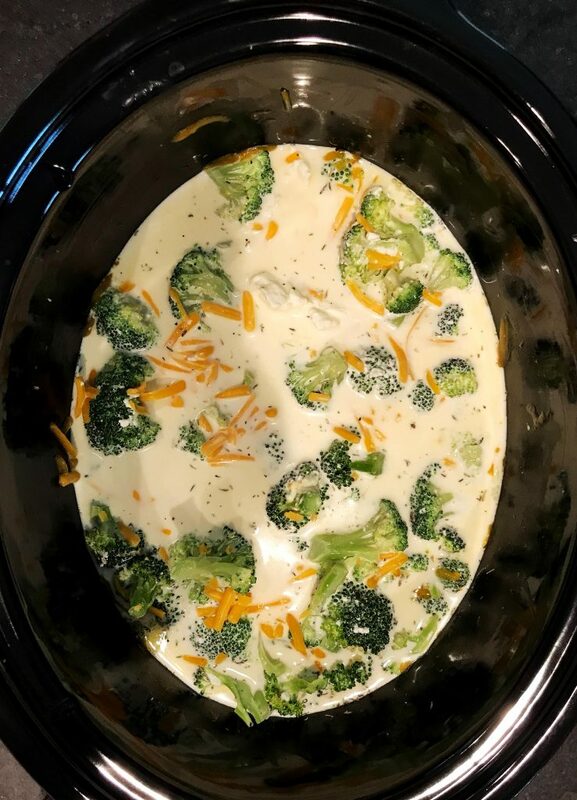 Add parmesan and cheddar cheeses and the broccoli to the crock pot. Finally, add spices and stir to make sure ingredients are combined. Place lid on the crock pot and allow soup to cook for 3 hours on low or for 90 minutes on high. Stir occasionally to allow mixture to combine well. If the soup is too thick, add some water to the crock pot to thin it out a bit. If you would like some more substance to this recipe, add bacon bits or croutons when serving. We hope you have enjoyed our grain free ideas this week! Let us know if you would like to see more themed weeks like this, we are always happy to hear new ideas!